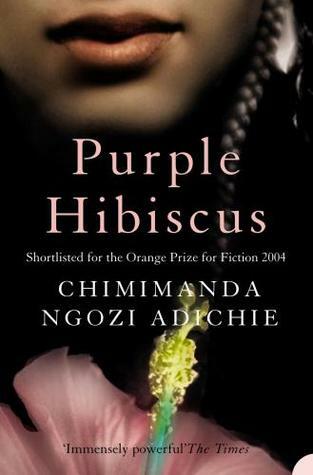 If a book has been on your To Read list for over two years, and you still haven't read it, is it time to cross it off your list? And how do you pull out of a friend's book club without hurting that same friend's feelings? 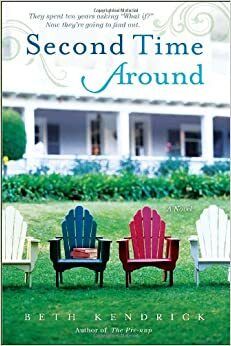 So much about this novel reminded me of Virginia Woolf's Mrs. Dalloway: all of life in just one day, a picture postcard collage of past and present, even a party. 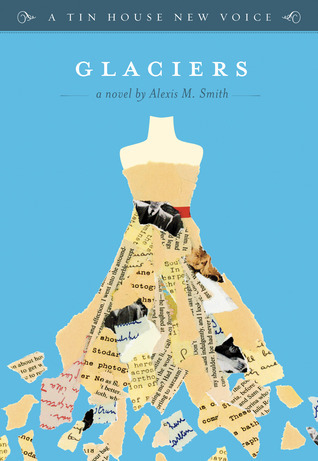 But Alexis M. Smith's Glaciers is also uniquely her own. Isabel, her charming protagonist, loves collecting secondhand items and wearing vintage clothing. "She was four, not yet in school, when her father first took her junking ... There are treasures everywhere, her father told her... It doesn't matter how much it costs, or whether anyone else wants it. If you love it, you will treasure it..." She works in a library in preservation and conservation where Spoke, a former soldier who served in the Iraq War, also works. Though they barely speak, Isabel is drawn to him. "There is a physics to their relationship. She feels the attraction as a force, like the gravitational tug of celestial bodies in orbit; but it seems that to touch, one of them must crash into the other." I was drawn to this book because of its cover, but quickly fell in love with the writing inside. The pieces of Isabel's past ripple through her present in perfect intervals...although the novel's brevity did at times leave me wanting more: more about Spoke, more about Isabel's sister, more about treasure-hunting in secondhand shops, and more about Isabel herself. That's my only complaint. This book is so delightful, I selfishly want more; 174 pages just isn't enough. But I guess it'll have to do. 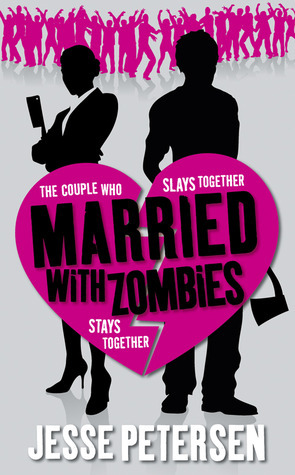 "I never would have guessed that killing zombies would save my relationship." Sarah and David's marriage is in trouble, but then Dr. Kelly, their marriage counselor, tries to eat them and their relationship problems suddenly seem small compared to the zombie infection rapidly spreading throughout the city. If they want to survive, they'll have to stick together. It's spring! Time to start thinking about tulip bulbs and flowerbeds. But you don't have to have a green thumb to delight in a colorful garden of exotic flora and fauna; you only need the right books. 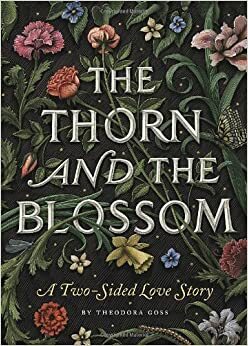 Here are ten botanical-inspired titles even non-gardeners can enjoy this season. I bought my first thesaurus from a Scholastic book order when I was in third grade. A paperback version of Roget's Thesaurus with a red cover and 572 pages. I still have it. The pages have yellowed and the well-worn cover is tattered and taped; in fact, it's practically falling apart it's been used so much, but even though I bought a newer copy of Roget's Super Thesaurus a few years ago, I just can't seem to get rid of my old one. It feels like an old friend. Every time I've needed to find just the right word, my little red thesaurus has come through for me. But I have to admit that in all the years I've owned my thesaurus, I have never once wondered about the man who created it. 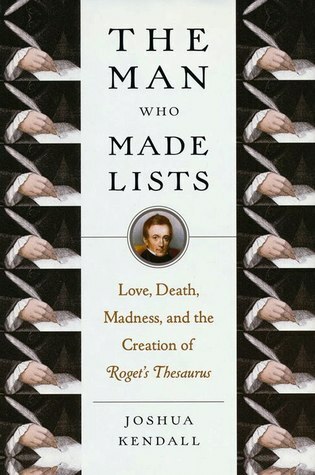 The Man Who Made Lists by Joshua Kendall is a fascinating biography about Peter Mark Roget, the creator of my little red thesaurus. From childhood, Roget loved to classify and order things: plants, animals, systems, and words. It's how he coped with life's messy chaos, and his own loneliness and anxiety. Extremely intelligent, Roget became a physician, practiced medicine, was a popular lecturer, wrote several scholarly papers on optics, electricity, chemistry, physiology, and even the slide rule. And he kept lists of words. A lifetime of words that, in 1852, he published as Roget's Thesaurus of English Words and Phrases Classified and Arranged so as to Facilitate the Expression of Ideas and Assist in Literary Composition. He was 73. 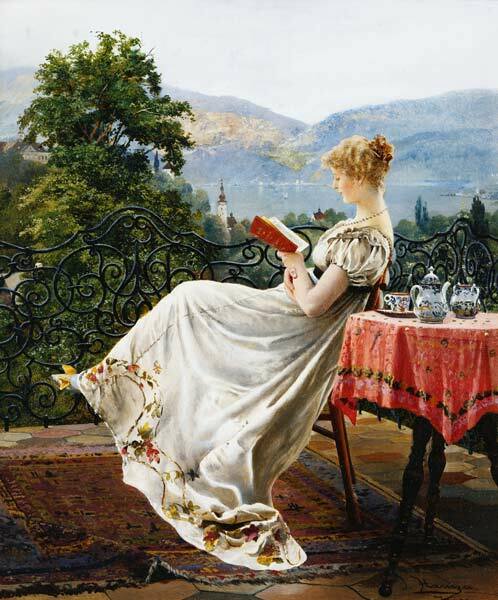 He continued to "tinker with" his masterpiece until his death in 1869, overseeing the publication of twenty-eight editions in his lifetime alone. What an amazing legacy. I, for one, don't know what I would do without mine. "We seek in vain the words we need...The appropriate terms, notwithstanding our utmost efforts, cannot be conjured up at will. Like 'spirits from the vasty deep', they come not when we call; and we are driven to the employment of a set of words and phrases either too general or too limited, too strong or too feeble, which suit not the occasion, which hit not the mark we aim at." "In every process of reasoning, language enters as an essential element. Words are the instruments by which we form all our abstractions, but which we fashion and embody our ideas, and by which we are enabled to glide along a series of premises and conclusions... It is on this ground that the present work founds a claim to utility." "What did you do as a child that made the hours pass like minutes? Here is the key to your earthly pursuits." 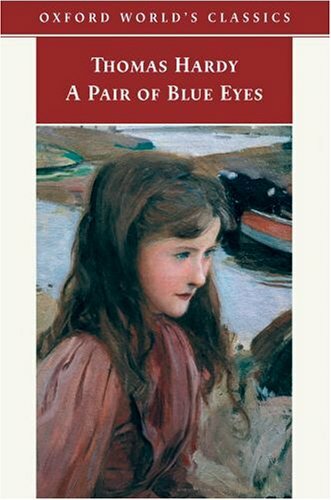 Thomas Hardy's A Pair of Blue Eyes was supposed to be my last classic of 2014, but due to a series of library mishaps, it took a little longer to get a copy than I planned. And then, when a copy finally did come, I wasn't sure I still wanted to read it. Fortunately, once I started, the plight of Hardy's main character, Elfride Swancourt, kept me reading to the end (even though, in typical Hardy fashion, this novel does not have a happily-ever-after ending). Inexperienced and unworldly, Elfride Swancourt is the one with eyes as "blue as autumn distance...a misty and shady blue that had no beginning or surface, and was looked into rather than at." The daughter of a vicar, she meets Stephen Smith, an architect's apprentice, when he comes to survey their church; the two quickly fall in love, but Stephen's parents are too low in station for Elfride's father to consent to their marriage. So, they elope to London instead. Only Elfride backs out at the last moment and returns home, undiscovered and unmarried. But that one moment of youthful haste and indiscretion comes back to haunt her later in life. "I did not see all the consequences," she said. What if someone gave you $250,000? What would you do with it? Start your own business? Buy that bed-and-breakfast? Quit your job and finally write that novel? Brooke, Caitlin, Jamie, and Anna, friends since college and all former English majors, have just been given the chance to find out. That's the premise of Beth Kendrick's Second Time Around, and the main reason I checked it out of the library. This book is a fun, if somewhat predictable, read. But I think what I liked best about it is how it got me wondering what I would do if someone gave me $250,000 out of the blue. The practical, responsible side of me would probably invest the money, or put it towards retirement, maybe use it to replace my old car with a newer model or invest it in a condo, something sensible like that. But the dreamer in me would have a much more impractical plan. With $250,000 I could reinvent my life and finally do all those things I've always dreamed of doing "if I only had the money". I could rent a beach house for a year, take time off from work and learn to fly, learn French, travel the world, paint, write, move to Hawaii. The possibilities are endless; and it's those possibilities that make dreaming (and life!) worthwhile. Henry David Thoreau wrote," If one advances confidently in the direction of his dreams, and endeavors to live the life which he has imagined, he will meet with a success unexpected in common hours. If you have built castles in the air, your work need not be lost; that is where they should be. Now put the foundations under them." I couldn't agree more. "I must just try to make the best of things." That is 15-year-old orphan Nan Howard's motto when her grandfather dies leaving all his money to her step-grandmother, Mrs. Barnes. Soon after, Nan is shipped off to stay with her Uncle James and Aunt Maud, whom she's never met; they are kind, but they have four children of their own and no real room for Nan in their cramped house. Still, Nan tries to stay cheerful and help out her cousins. "I will try to be just as little trouble as I can." Needing money, Nan becomes a companion to the sad little crippled girl next door whom she teaches to play 'the glad game' (from Eleanor Porter's popular Pollyanna, which was published in 1913). But change is on the horizon for this plucky heroine. There's a mystery to solve, a new adventure to be had, a near-drowning, something sad and something glad. 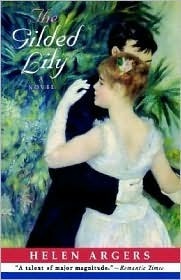 This novel, with its optimism and its old-fashioned values, is sweetly predictable, but I think that's why I liked it so much. I like that Nan is not only "a brick", but "kind-hearted" and "as true as steel", too. (Although I did roll my eyes when she was described as having a "housewifely soul".) And I like that no matter how many hardships come her way, she perseveres and ultimately triumphs. Her old-fashioned values still ring true with me. Maybe that's why I love so many of these classic children's novels. (And why I can't resist buying them when I find them.) So, here's to Nan Howard and all plucky heroines everywhere! P.S. Not only is The Independence of Nan another book from off my TBR shelf that I've now read, but it also fills a category for me in this year's Back to the Classics Challenge ... a double bookish bonus!